boat looked like it would sink. 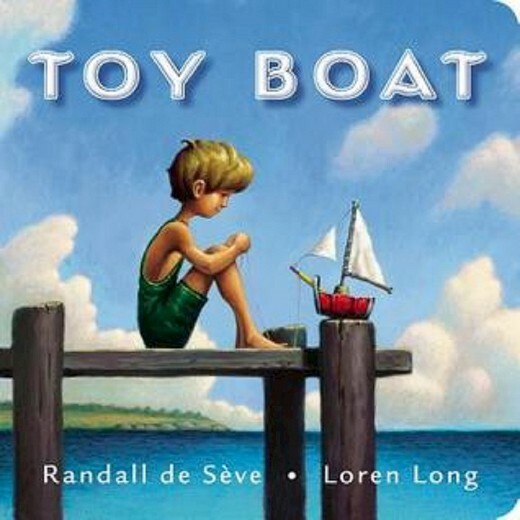 Yet, in this wonderful 2007 board book – written by Randall de Sève and illustrated by Loren Long, whose drawings you know from The Little Engine That Could – the little Toy Boat, finds its strength, rides the stormy seas and makes its way back to the little boy. Here in Vancouver, another little toy boat has been making an impressive journey of its own. Things might have been easier for our boat if it was made of ‘a can, a cork, a yellow pencil and some white cloth.’ Ours is made from white Italian Carerra marble. This Classical Toy Boat was created in 1987 by Glenn Lewis, now over 80 years old and the 2017 Canada Council Laureate. 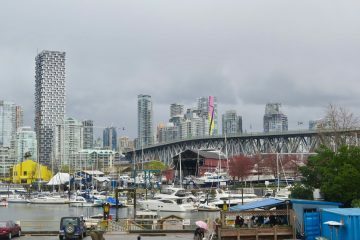 Lewis – who was a notable figure in Vancouver’s 1960’s avant-garde movement – first launched his toy boat at the Sea to Shining Sea exhibit at the Power Plant Contemporary Art Gallery on the Toronto waterfront. His bow-soaked boat was then relegated to storage in Toronto, before being trucked out to the West Coast and stored in his yard under a tarp. 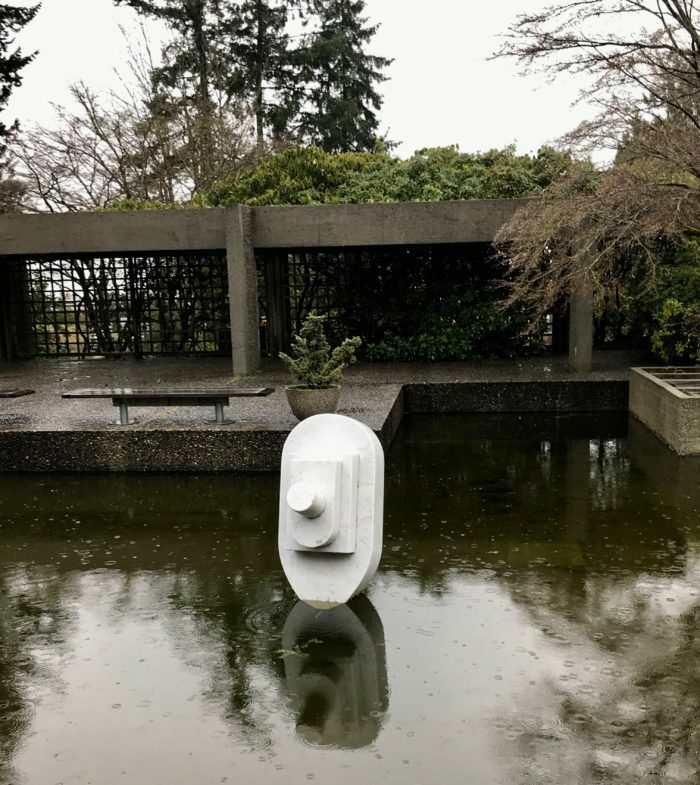 Lewis’ lonely boat was finally bought by the Belkin Art Gallery in 2009 and offered pond prominence behind UBC’s former Faculty Club in 2016. Here’s a silent video of the sculpture’s installation at UBC.